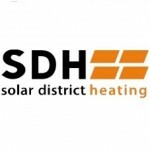 SDHp2m stands for Solar District Heating (SDH) and actions fromPolicy to Market. The project addresses market uptake challenges for a wider use of district heating and cooling systems (DHC) with high shares of RES, specifically the action focuses on the use of large-scale solar thermal plants combined with other RES in DHC systems. IZEB was resently comissioned by private developer Sweet Home to perform a feasibility study for development of and energy autonomus residential complex near Sofia. The team from the Institute will create technological solution for achieving energy independancy of single family households near by Sofia. IZEB counsults Building Systems Design in their contract with QBIC for experimental implementation of Water Flow Facade in Qatar Green Building Council villa.